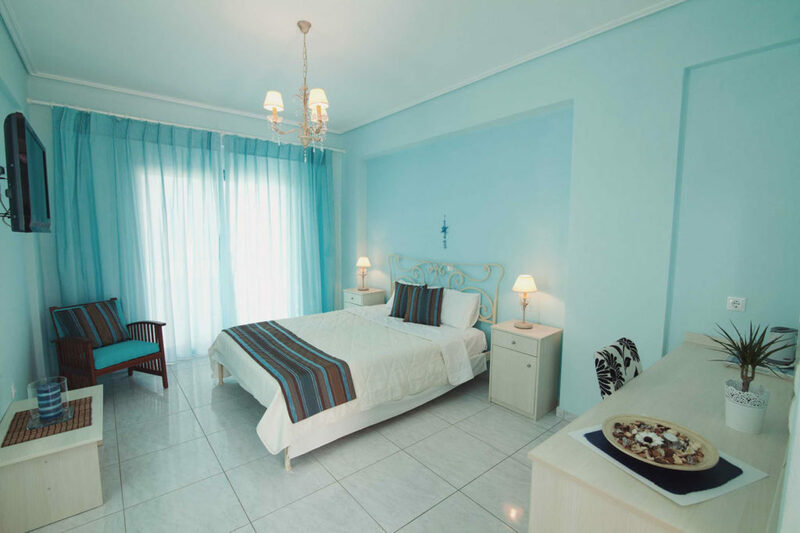 All double rooms at Kyparissia Blue are spacious, decorated with beautiful summer colors, wooden furniture and tiled floors. They all have a spacious balcony offering complete relaxation, overlooking the sea or garden. Each room consists of a double bed and a baby crib or even a bed are available without extra charge.